Investors shrugged off an inversion of the U.S. Treasury yield curve and domestic stock market averages ended the first quarter with 10%-plus gains across the board. Trade talks resumed with China this week, as a U.S. delegation, including Treasury Secretary Steven Mnuchin, visited Beijing. The sides are expected to continue discussions next week in Washington D.C. There was a negative initial reaction to the 3-month U.S. Treasury yield falling below that of the benchmark 10-year note, but rates and investor sentiment leveled off throughout the week. An inversion of the yield curve often (but not always) predicts an upcoming economic recession. 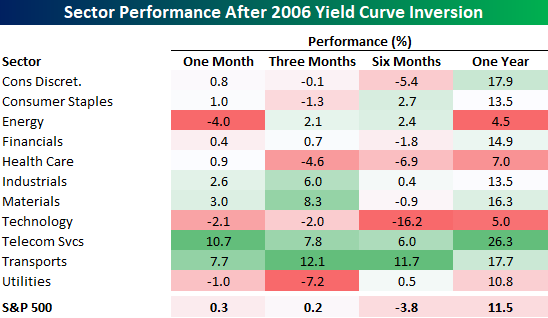 However, as the following table from the Bespoke Investment Group shows, there is still ample opportunity for investors to make money after the yield curve flips upside down. The last time this occurred was in 2006 and U.S. stocks were 11.5% higher a year following inversion, led by telecom names. While GDP growth from the fourth quarter of 2018 was revised down to 2.2% this week, the U.S. economy is showing no immediate danger of entering a recession. Another reason not to fear the yield curve these days is a more dovish tone from central banks across the globe. U.S. interest rates first began to fall earlier this month, when the FOMC said it would place further rate hikes on hold. 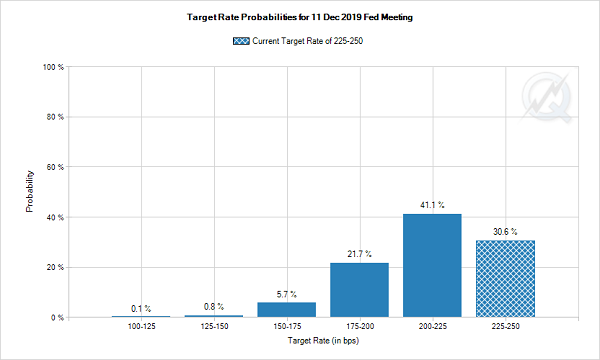 In fact, Fed funds futures have now taken the opposite stance and are pricing in a 69% chance of an interest rate cut in 2019, up from just a 38% probability a week ago. Lululemon (LULU) was a big earnings-related winner this week, gaining 14% the day following a report of better-than-expected results. On the other hand, Carnival (CCL) fell 9% the session after disappointing investors with earnings guidance. Looking ahead to next week, Constellation Brands (STZ) and Walgreens Boots Alliance (WBA) are two other consumer-related names scheduled to announce quarterly results. On the economic front, all eyes will be on the March employment report on April 4. February’s reading for U.S. job creation came in well short of expectations and traders will be looking for clues about the health of the economy heading into the second quarter of 2019. There were some bumps along the way, but U.S. stock investors were rewarded with big gains in the first quarter of the year. So where do you put new cash to work now, especially if you just received a tax refund from Uncle Sam? 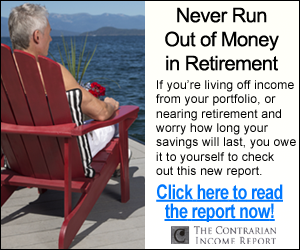 If you’re nearing retirement or already retired, all you really care about is generating consistent income and protecting your hard-earned nest egg– not whether a company misses earnings expectations by a few pennies, or the Fed is flip-flopping on its interest rate strategy. 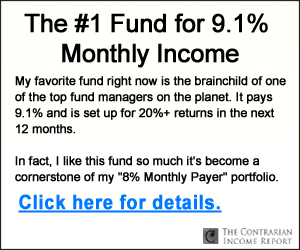 Thanks to his work, you no longer have to settle for low bond yields, or stocks like Carnival that can lose more in one day than it pays in two years of dividends.